Like made of stars dust, Solstice collection includes 2 shapes of serving plates and 3 shapes of bowls. 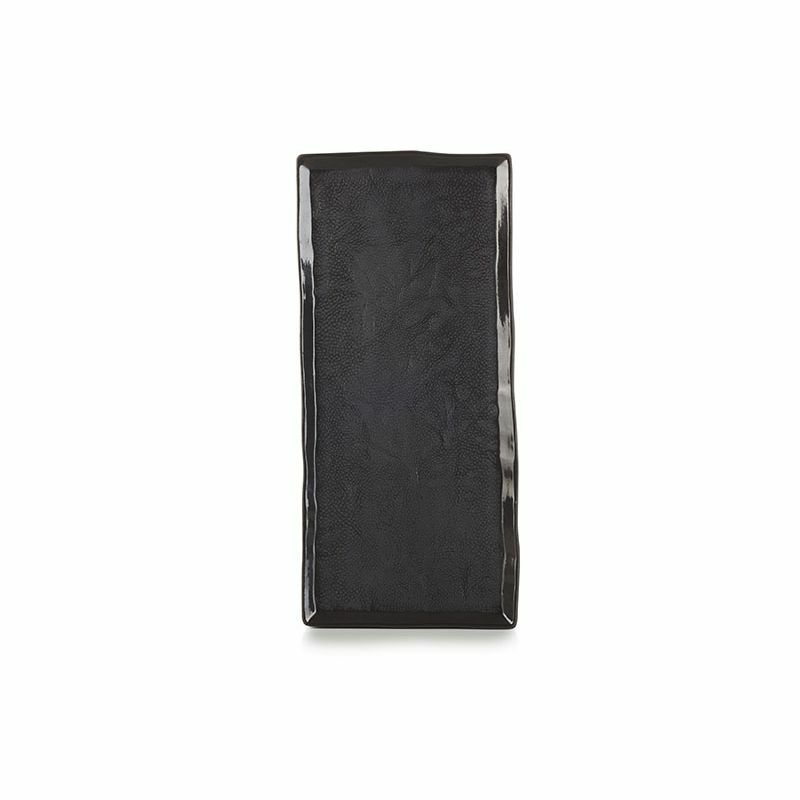 Available in 5 different finishes, this is the larger rectangular tray: 11.75 x 5.25. 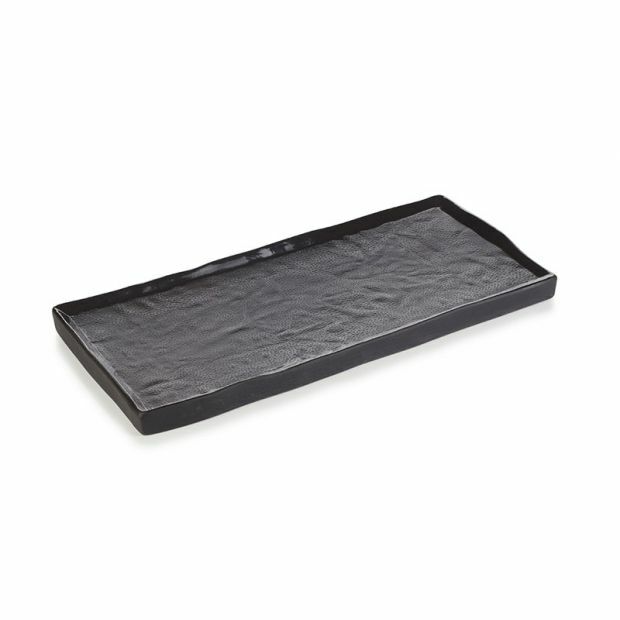 Made of black porcelain all the way through, these trays are sturdy and meant for an every day use. This is the Black Moon finish: a dark and deep finish for more visual impact. Oven and dishwasher safe. The black moon finish is also microwave safe. Freezer and dishwasher safe.